The immune system protects us from numerous dangers like viruses, bacteria, or parasites that enter your body and cause illness. It monitors and protects us from cancer and other diseases that begin in the body. It also modulates inflammation which is a response to help the body deal with damaged tissues from harmful substances, such as bacteria, viruses, or damaged cells from injury by involving immune white blood cells in the response. In essence, it prevents us from getting sick, and also helps us to get better if we do fall il or get injured. However, autoimmune diseases are different. Your immune system gets confused and attacks the healthy cells in your body instead of the diseased ones. This often complicates the other health issues as well, because your body’s defense systems are working against your body. In many cases we can detect antibodies in the blood long before symptoms appear, and we can utilize a functional medicine approach to reduce the triggers, and modulate the immune system, thereby decreasing the autoimmune activity and averting further damage. There are hundreds of autoimmune illnesses, each of which have their own unique symptoms. Symptoms of Autoimmune Thyroid Diseases can include depression, fluctuations in weight, difficulty sleeping, and anxiety. 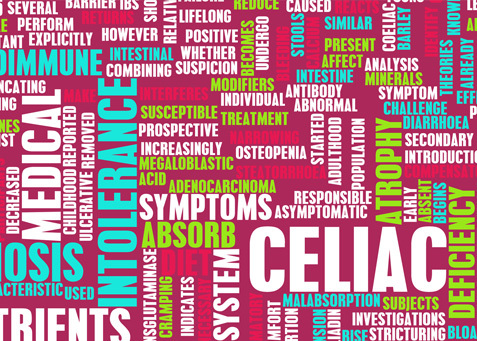 Celiac Disease manifests itself through digestive problems neurological issues, rashes, and the sudden loss of control of your body’s movements. Those suffering from Rheumatoid Arthritis will often notice joint problems of the wrists and hands on both sides. At Asheville Center for Health Excellence, we are aware of the most advanced natural methods to diagnose and treat many autoimmune illnesses Following a blood test and a detailed discussion of your symptoms and history, we can help modulate your body’s response to the autoimmune activity and then map out an effective treatment plan to help you manage it by optimizing your health. Utilizing changes to your diet, learning how to manage stress, doing appropriate exercises, and incorporating high quality nutritional supplements and herbs, as well as other lifestyle adjustments, we will do everything we can to assist you to get healthy again. If you have been experiencing symptoms that may be connected with autoimmune diseases and are looking for answers, schedule an appointment with us today!